This paper is the first installment of a new Nawawi Foundation series titled “Roots of Islam in America,” bringing to light the largely unwritten but surprisingly rich history of Muslims in the Americas over the centuries. Turks, Moors, and Moriscos in Early America focuses on the first British colony in the New World, the so-called “lost colony” of Roanoke (1585-1590). 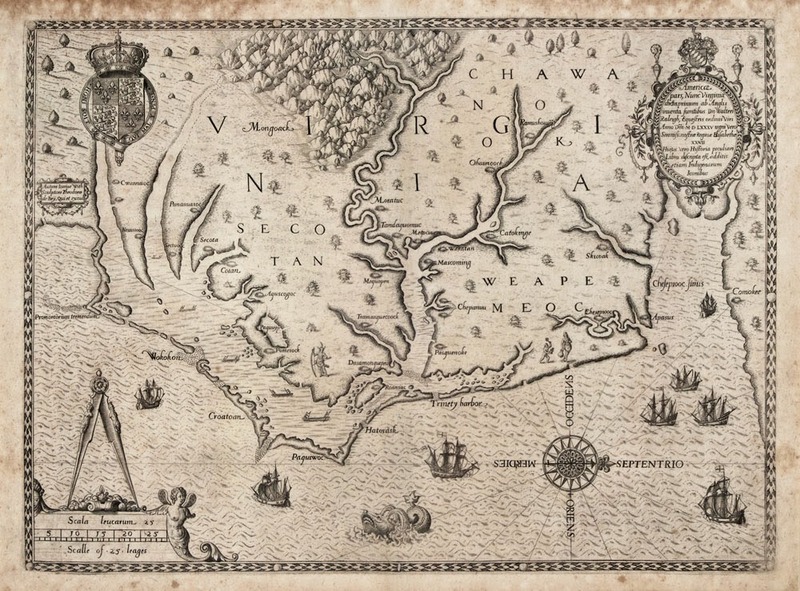 Roanoke was established for the primary purpose of attacking Spanish ships bearing large amounts of gold and silver from Spain’s American colonies to imperial Spain, which, at the time, constituted England’s primary military, political, and religious rival. On his way to Roanoke in 1586, Sir Francis Drake led a large fleet of British privateers against the Spanish in the Atlantic and Caribbean and freed hundreds of Muslim galley slaves, who had been forced to serve in the Spanish navy. Historical sources identify these galley slaves as “Turks” and “Moors.” But the galley slaves probably included Moriscos as well. The Moriscos were former Spanish and Portuguese Muslims (Moors) who had been forcefully converted to Christianity after the fall of Muslim Spain and often ran afoul of the Spanish Inquisition and were condemned to the galleys. As the article shows, Drake definitely had this large contingent of newly liberated Muslims with him when his ships came to the Roanoke colony in 1586. We know that many of the “Turks” were repatriated to the Ottoman Empire, which had friendly diplomatic relations with England at the time. What became of the hundreds of other former Muslim galley slaves remains an intriguing mystery. It is possible that some of them stayed or were left behind and became the ancestors of the Melungeons, Lumbees, and other enigmatic indigenous American populations who trace their origins to the Roanoke colony and have long claimed to have “Portuguese” and “Moorish” roots.